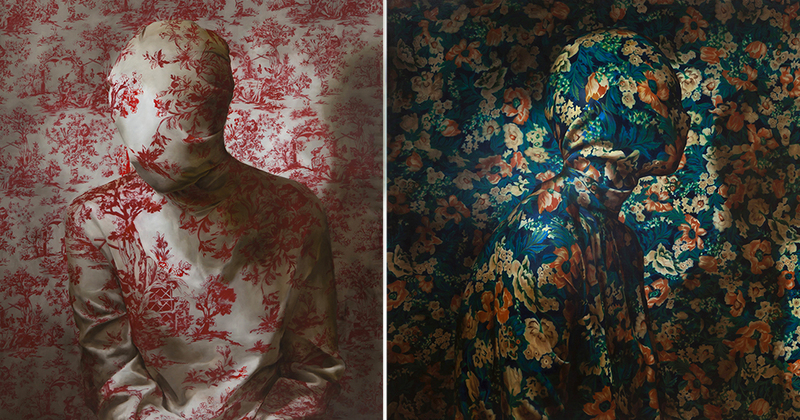 Chinese artist Liu Yungsheng creates hyperrealistic portraits. 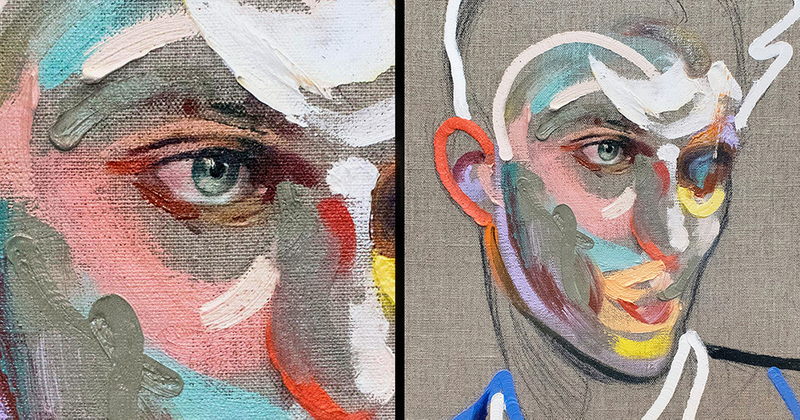 The portraits seem to come alive by capturing his subjects, down to the smallest detail. 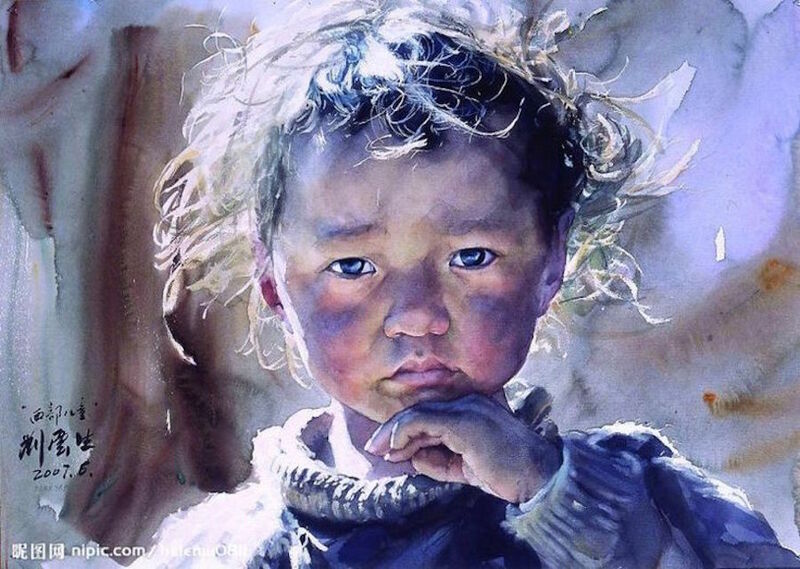 Yungsheng spent a majority of his life in and around Tibet, and his works tend to focus on the people, landscapes and lifestyle characteristic of this region and era. 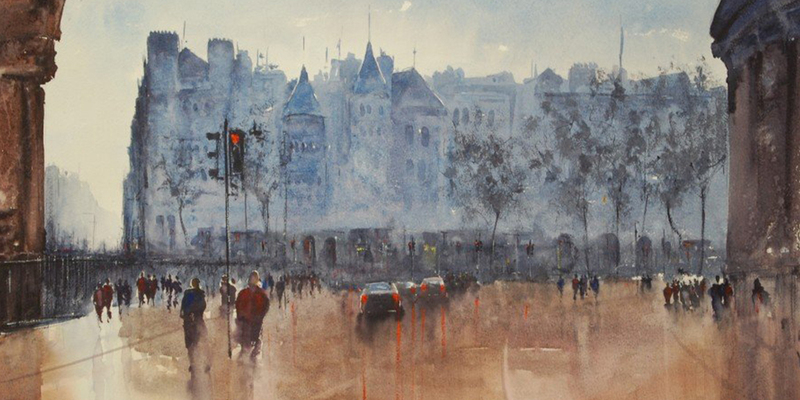 Alan Somers captures these oft-forgotten facets beautifully – the time away from the art world, and everything life had to offer in the interim, has resulted in a calmer and more mature mind. 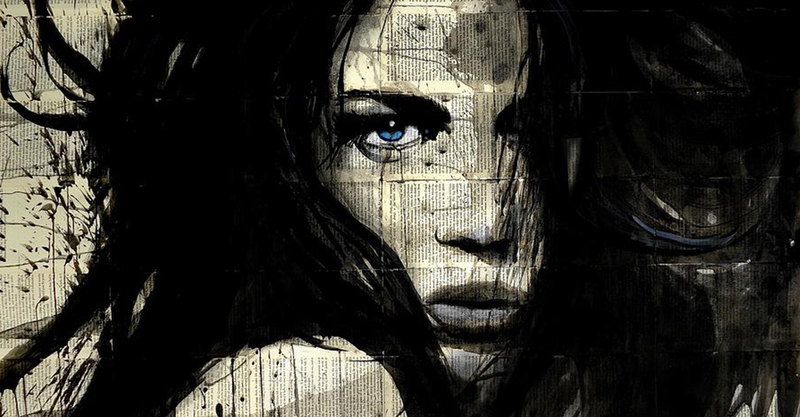 Loui Jover is an Australian painter and artist. He is known for his artwork in ink wash paintings on vintage book pages. 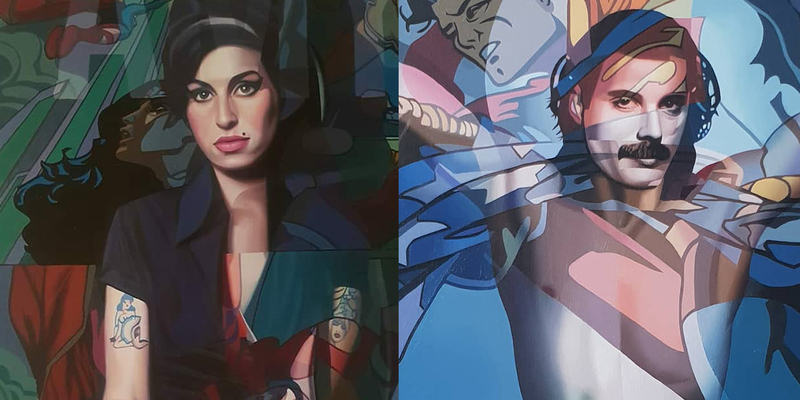 Jover started his work on art in his childhood, but did not start public art until 1989, when he joined the Australian army as an illustrator and photographer. 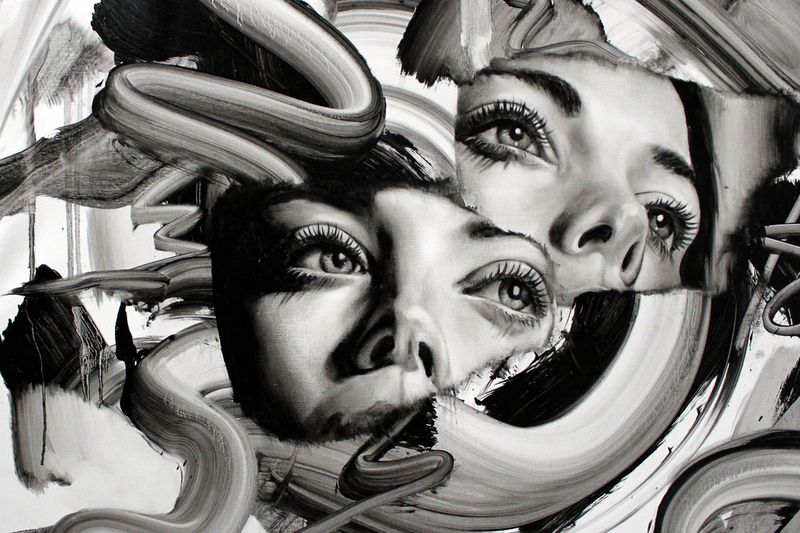 Mari Roldan is a young painter from Malaga, Spain. 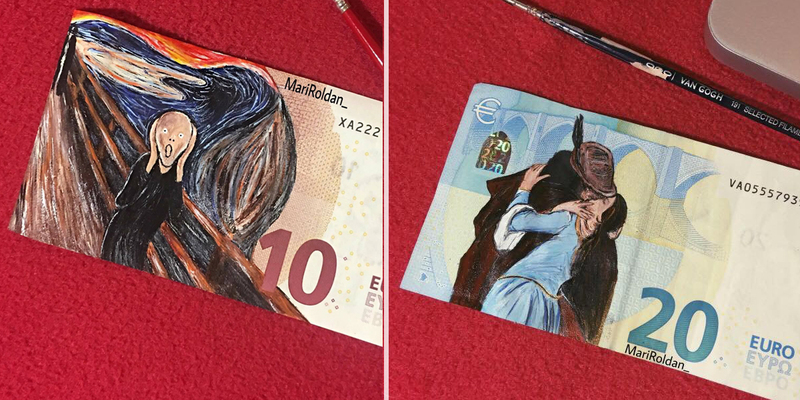 Mari uses acrylic and oil and she paints euro bills with famous artworks. I’m very intrigued by spaces and how they can affect and shape its occupants. As a child, I was always watching people, but was always more interested in spaces under the bed, in the crevice of a couch, or the corner of a wall. I would gravitate to those places and sit very close to them, feeling myself become separated from the world outside. I think that I still work in the same way, and am very sensitive to my surroundings, so the work that I tend to produce reflects how I was feeling within particular spaces. Markus Åkesson is a neofigurative painter on the international stage. His work is popular in public and private collections both in Sweden and abroad. 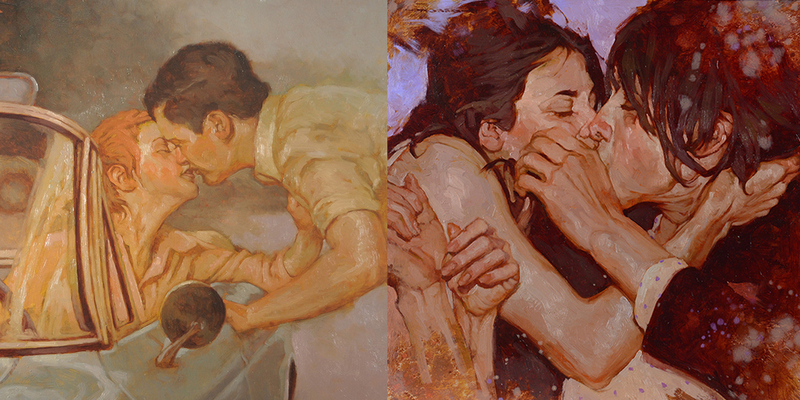 Born in 1975, Markus Åkesson creates figurative paintings with a burdensome and poetic atmosphere. 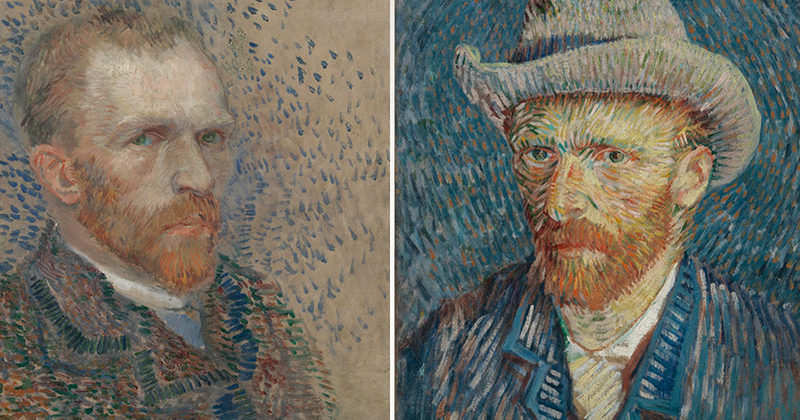 Vincent van Gogh (1853–1890) is one of the most famous artists in the history of Western art. 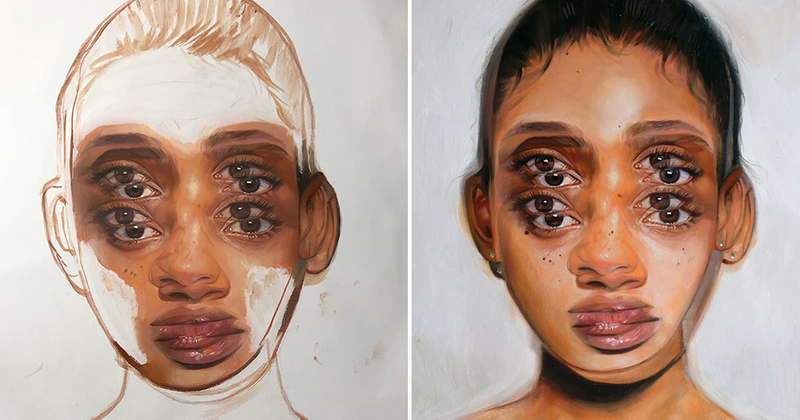 Internationally renown as the Queen of Double Eyes, Alex Garant studied visual arts at Notre-Dame–De-Foy College just outside Quebec City. She decided to truly commit to her passion for Arts after suffering from a heart attack in 2012, changing forever how she would see the world. 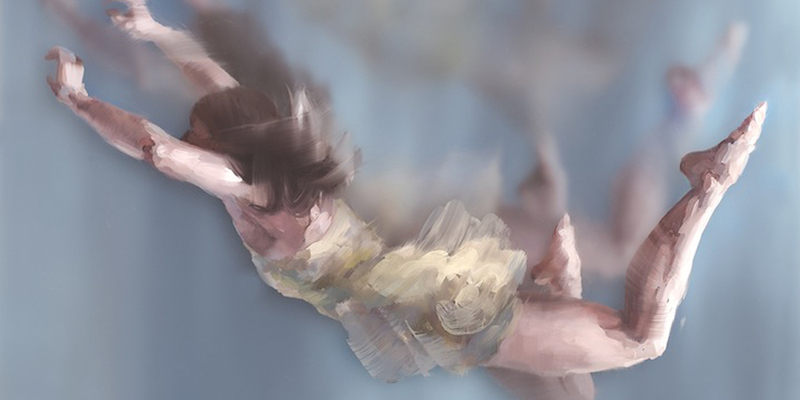 Michelle Jader from San Francisco creates outstanding portraits of people in motion. 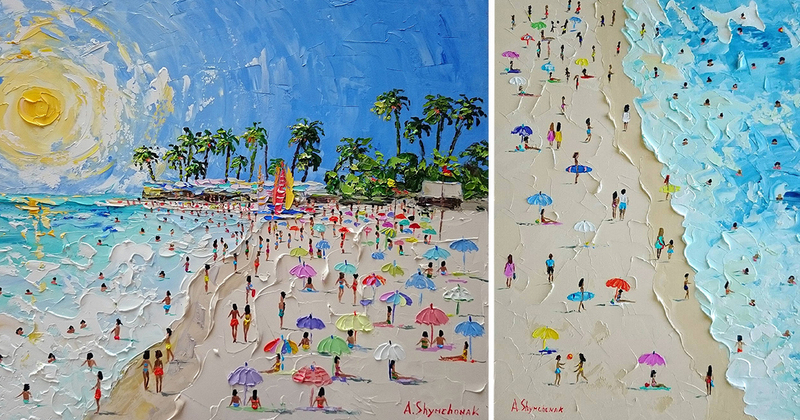 Her paintings explore moments when we willingly and unwillingly dive into the next phase of our life. 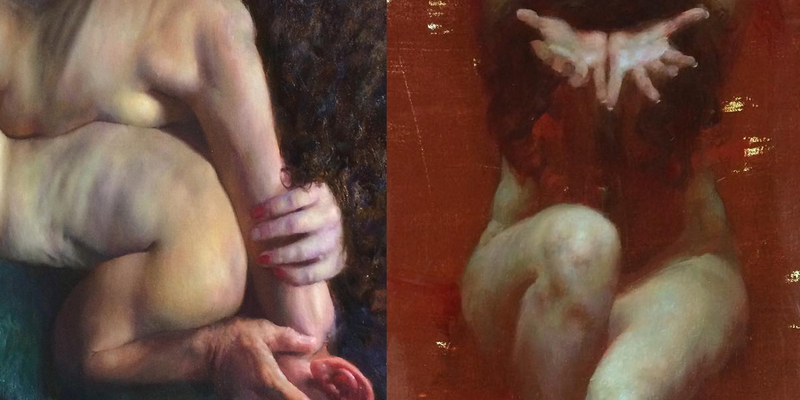 Each oil painting consists of several layers of semi-transparent acrylic panels. 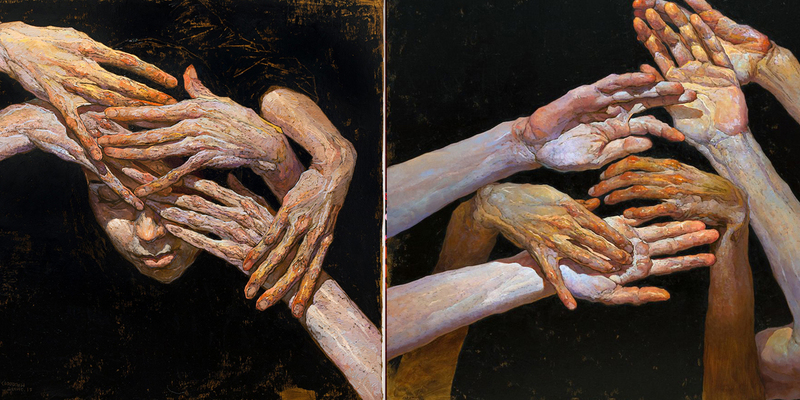 They are stacked in front of one another to add depth and emphasize the feeling of movement. The works are mounted to reveal these layers, but no special hardware is required. 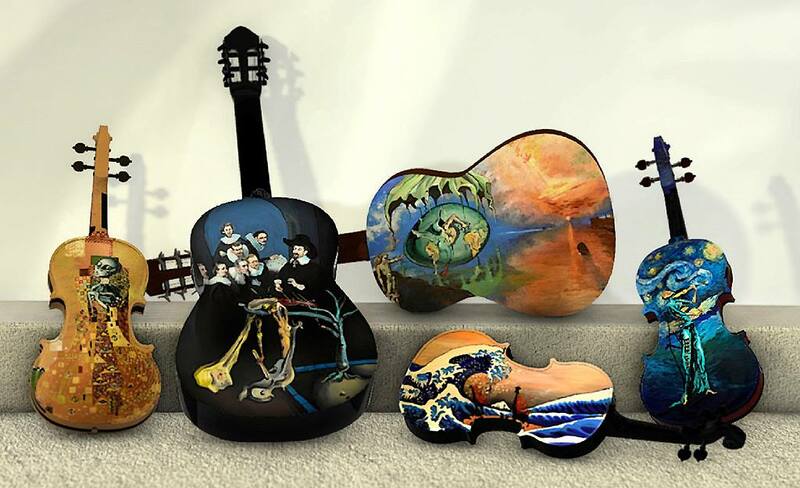 Each painting can be hung on a wall using a traditional picture hanger. The Fallen Angel is part of the Musée Fabre collection. It is a classic portrayal of a man by an academic artist Alexandre Cabanel. With the crafted way he depicts the musculature of the figure. The angel has both arms raised and his fingers of his two hands interlocked hiding most of his face. 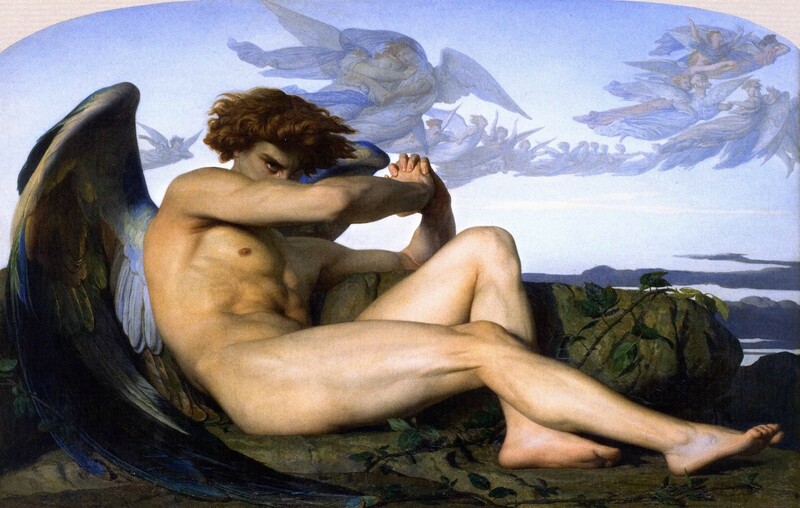 Cabanel’s inspiration for this work was John Milton’s 1667 epic poem Paradise Lost and the fallen angels, Moloch, Belial, Mulciber, Mammon and Beelzebub. In the work we see the “fallen” angel – fallen from grace and banished by God. 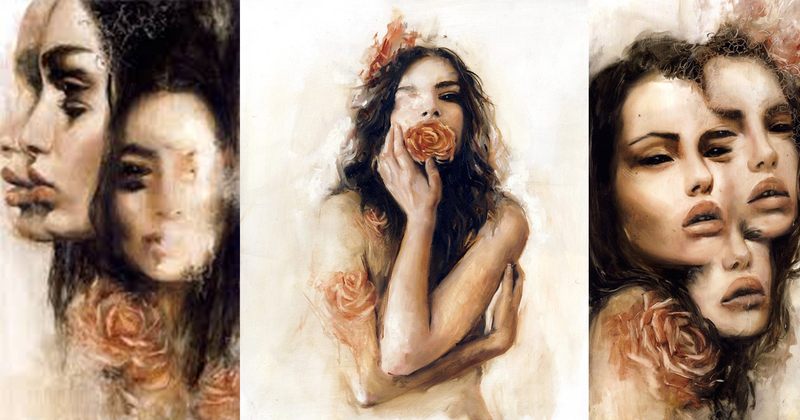 Charmaine Olivia is a self-taught fine art painter born in Southern California. She is seeking to explore who we are as conscious beings in the universe, and the role color, emotion, and self-discovery play in living a harmonious life.